The story of “padre” Vilson Groh is an amazing story of individual initiative, communal resilience to violence and innovation for change. Such stories are not uncommon, but they are rarely publicized. Padre Vilson Groh runs his own NGO with the goal of helping underprivileged children in cartel-ravaged parts of Brazil through the use of education1. After the government shut down a school due to poor attendance from both the staff and the students, the community leaders turned to the Society of Mary Mission in Brazil for help. The Society of Mary, or Marists, took it upon themselves to open the school as a private tuition-free school. Since its opening, local gang related deaths have plummeted and the school has become a beacon of hope and pride for the community. When learning about this one wonders why such programs are not implemented more often or on a larger scale. Contrary to popular belief, this method is implemented more often than one would think2. For example in Nepal an NGO called Room to Read began building schools and libraries in rural Nepal, and is now expanding towards Vietnam, Cambodia, India, and Zambia, using locally hired labor. The New Futures Organization based in Cambodia runs an orphanage which cares for over 50 children and young people, and is developing a network of free schools in remote villages. And a personal favorite is “One laptop per child” which, as the name suggests, has built a basic type of laptop for children who could not otherwise afford them. Khan Academy is another example of free educational resource that can be used by the poor and underprivileged as their website offers 2600+ videos on different K-12 subjects. These are important teaching resources that enable learning. However, they require access to the Internet, which is not always available in many parts of the world. The point is that changing a society is a long-term process that requires a well thought of strategy, and it takes a while to see the effect of educational initiatives on a rural area. Everyone wants rapid change and quick results, however the issue of educating someone is that the process itself takes time, the transfer of knowledge takes time, and the effect can be measured in terms of decades and longitudinally. Media coverage of similar initiatives and programs is extremely important because it shows change is possible and real even if it may take a while. This could inspire people to start their own initiatives or support the existing ones. The more people know that change is possible and attainable, the more people stand up to better themselves and their community. 1. Murdock, Janet Lynn. “Resolutionary Diaries #2.” – Peace and Collaborative Development Network. N.p., n.d. Web. 23 Nov. 2015. <http://www.internationalpeaceandconflict.org/profiles/blog/show?id=780588%3ABlogPost%3A1048875&xgs=1&xg_source=msg_share_post#.VlOkeHarQgs>. 2. Alcos, Carlos. “50 Nonprofits Making a World of Difference.” Matador Network. N.p., n.d. Web. 23 Nov. 2015. 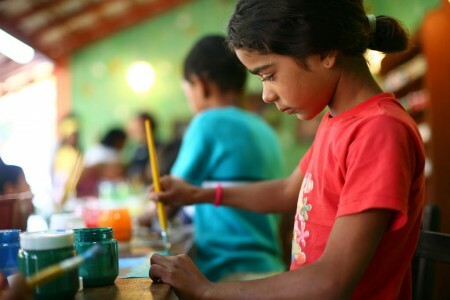 <http://matadornetwork.com/change/50-nonprofits-making-a-world-of-difference/>.